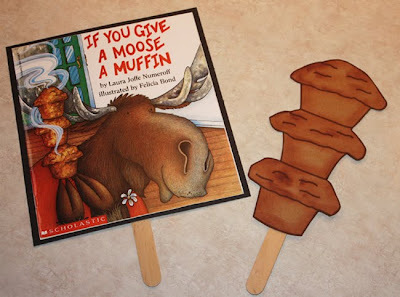 I mounted the muffins and the book covers on large popsicle sticks so that the children could carry them while marching in the parade. 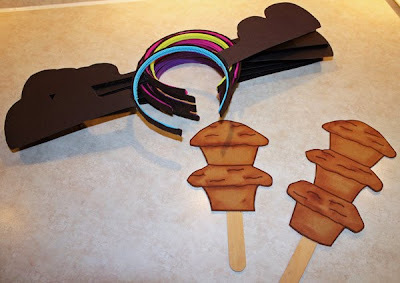 Next are the headbands I made using brown felt, black posterboard, black pipecleaners and hot glue. These were a bit tedious, but I wanted them to be secure and not floppy while the children walked. And, here's a quick picture of my girls in their costumes for our neighborhood Halloween parade. I didn't get too many good pictures from the party because I was too busy running games, hosting and picking names for winners in our candy corn count contest and prize giveaways. 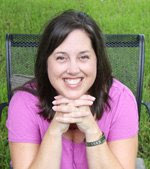 It was a fun time! 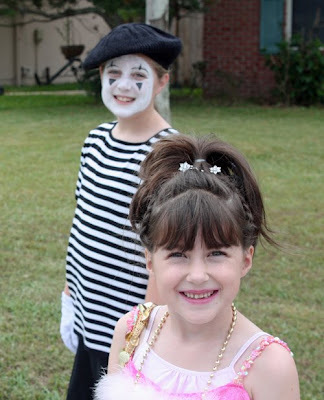 Just in case you couldn't tell, this year's homemade costumes include a mime and a supermodel. See you later!